The long-awaited deposit insurance system is due to be announced as early as the start of next year, which will pave the way for the full liberalization of interest rates in China. Multiple central Chinese government departments are finalizing the final stages of the deposit insurance scheme, including the People's Bank of China (PBOC) and the China Banking Regulatory Commission (CBRC), and the final version of the deposit insurance scheme will be finished as early as the beginning of 2015. The PBOC recently released the draft rules for the deposit insurance system in order to collect public comments. In the draft, limited compensation for depositors and differential insurance premium rates for commercial banks will be used in the system adopted from other nations, such as the United States and EU countries. 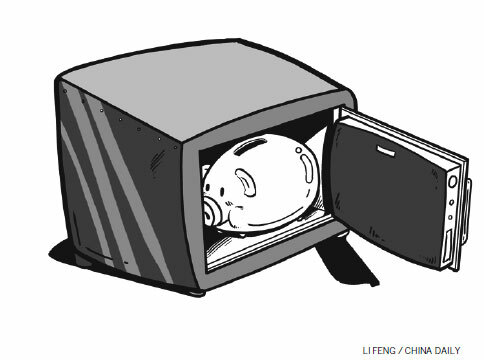 There are four main characteristics of the draft: First, maximum compensation is likely to be set at 500,000 yuan (81,433 U.S. dollars) per depositor when a bank suffers an insolvency crisis or bankruptcy. Second, the insurance is compulsory for financial institutions in order to avoid unfair competition between big banks and small banks. Third, different banks will enjoy different insurance premium rates in order to avoid "moral hazards." Lastly, the insurance covers more than 99.63 percent of deposits nationwide. Based on the deposit insurance system, the benefits of the depositors can be protected and the stability of the financial intermediation will be maintained. In addition, the system's establishment will improve competition between banks which means the small and medium-sized banks will gain more space in the market so that they can provide enough money for financing small and medium enterprises (SMEs). Also, deposit insurance will enable banks to increase the money supply, and without it underfunded banks might suffer bank runs. In most countries, banks are the most important intermediary financial institutions between savers and borrowers, for assessing risks, executing monetary policy, and providing payment services, especially in China. At the same time, the configuration of bank portfolios makes them especially vulnerable to illiquidity and insolvency. In particular, by law, bank deposits have to be repaid at par; in addition, banks are highly leveraged and often maintain liquid assets to meet withdrawals only in normal times. In light of this vulnerability, government officials realize that the demise of one bank, if handled poorly, can spill over to others, creating negative externalities and causing a more general problem for other banks in the system. For these reasons, many governments provide a safety net for banks that generally includes deposit protection and lender-of-last-resort facilities, in addition to a system of bank regulation and supervision. Recognizing that financial stability is a public good with regional, and even global, implications, the international community is showing an interest in deposit protection. Governments in advanced economies and many developing economies grant formal deposit insurance in the hope of reducing the risk of systemic failure of banks and hence stabilizing the payments and financial system. A country faces six choices regarding deposit protection: (1) an explicit denial of the need for protection, as in New Zealand; (2) legal priority for the claims of depositors over other claimants during the liquidation of a failed bank, as in the Hong Kong SAR, instead of a deposit guarantee; (3) ambiguity regarding coverage; (4) an implicit guarantee; (5) explicit limited coverage; and (6) a full explicit guarantee. In China, we have had the "invisible deposit insurance system" for many years, which means the government becomes the guarantor when commercial banks can't afford the liability. That ineffective model should be replaced by a new visible deposit insurance system so that the demand and supply of money can manipulate the procedure of financing. As a result, enterprises, especially SMEs, can get the bank loans much easier than before and this will also give rise to a "survival of the fittest" in the Chinese banking system. The latest comment came on Thursday by Hu Xiaolian, vice governor of the central bank, who told a forum in Beijing that the PBOC will speed up the market-oriented interest rate reform and the establishment of a deposit insurance scheme. Last month, the PBOC raised the deposit rate ceiling from 110 percent to 120 percent of the one-year benchmark deposit rate, which can be considered as an important step in interest rate liberalization. The establishment of the deposit insurance system will promote interest rate liberalization and financial reform in China. The establishment of the long-awaited deposit insurance system will pave the way for market-oriented interest rate reforms in China.